A dental checkup and cleaning is something that a lot of people think they can ignore. 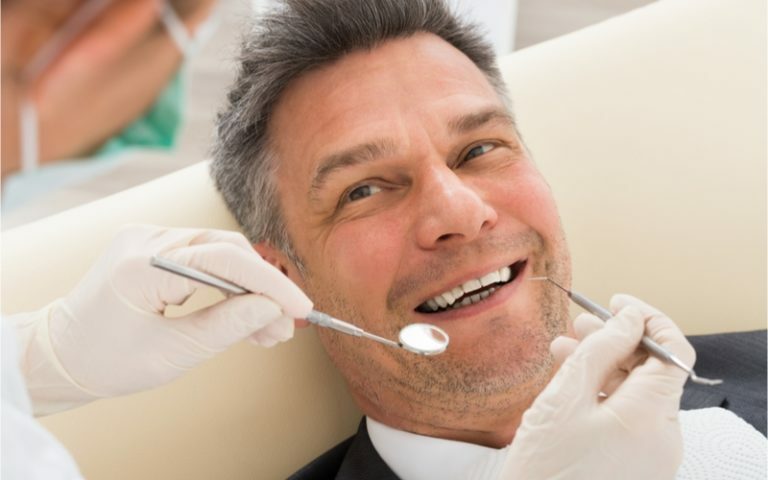 But the truth is not getting to the dentist for your twice yearly cleanings and checkups are actually doing quite the disservice to themselves. These exams are designed to help catch any problems before they get too serious and provide you with an exceptional quality of life. After all, if you miss an exam and suddenly have to have emergency treatment, your entire life will be put on hold. When patients ask why they should come in we often list several reasons. Here are a few of the most popular. Establish a relationship with the dentist | It’s hard to trust someone you don’t know. By coming in for your regular visits you’re establishing a relationship with the dentist and getting to know her. If a time comes when you need a more detailed treatment or have a more serious dental need, you can trust that she has your best interest at heart because you have a relationship with her. Catch problems early on | Because you don’t spend any time looking in your mouth, it’s easy to miss problems that are developing. Regular visits will allow the dentist to catch problems early on and offer treatment options that are often easier than if something gets bigger (a common occurrence when problems aren’t caught early enough). Keep your teeth healthy | This is a given, but the truth is many people think that brushing and flossing is enough to keep your teeth healthy. And while they provide a great baseline, they don’t remove the super hard calculus that needs to be scraped away with our tools. Additionally, there are many nooks and crannies in your mouth that your toothbrush can’t reach but our tools can. By regularly hitting those spots you’re ensuring even the hidden areas in your mouth get the TLC they deserve. Enjoy a healthy smile | Your smile says a lot about you. A confident, bright smile says that you’re happy and healthy. Regular checkups promise that your smile will be one you’re proud to shine. Prevent bad breath | Bad breath is an unfortunate fact of life, but it’s something that is easily managed through regular dental check ups. People who come in every six months don’t suffer from extreme bad breath like those who don’t because they’re making sure even the tight spots in their mouth are examined. Avoid prosthetics | Getting to the dentist regularly ensures decay is caught early and you don’t lose your teeth to gum disease or cavities. This means you won’t have to have dentures, crowns, or caps put on and can avoid more invasive procedures like root canals.